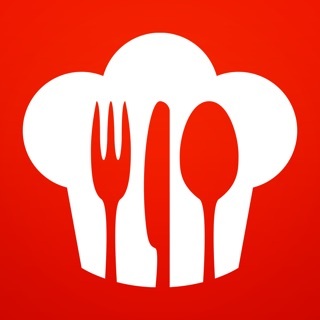 Note - If you are getting a grey screen, please delete the app and reinstall, you will not lose your recipes created. 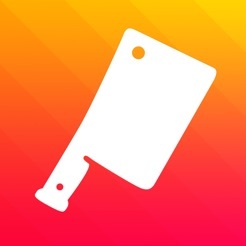 Cook is the place to create, share and discover recipes. 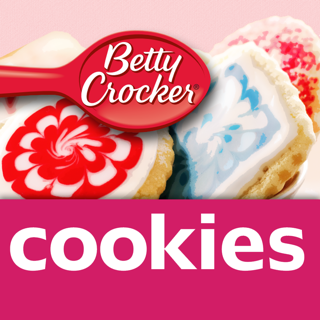 It's your very own Cookbook for iPad, fill it with the food you love and share it with family, friends and the world! 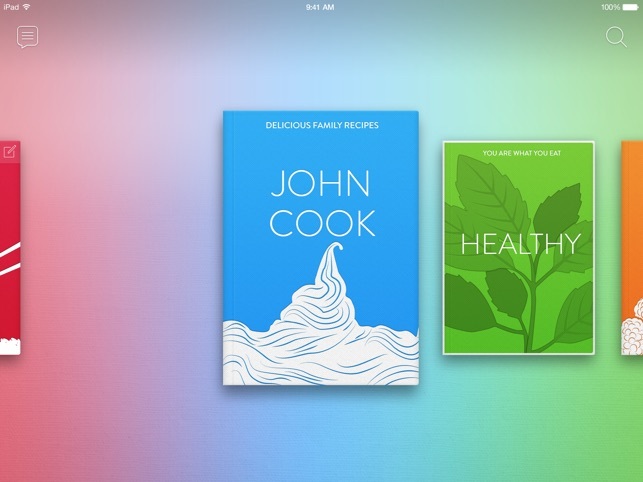 • Your Cook Book - Customize the front graphic, choose a color and add a caption to tell everyone about your cooking. 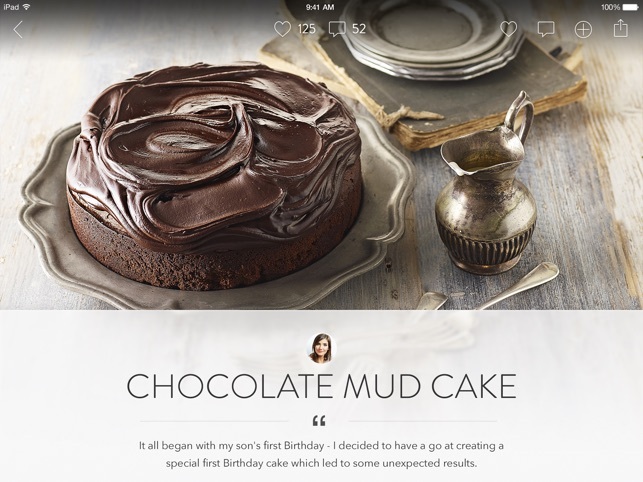 • Create Recipes - Add your cherished family recipes, favorite meals or latest discoveries. Type as much or as little as you want, then share it with everyone or keep it just for your close friends. 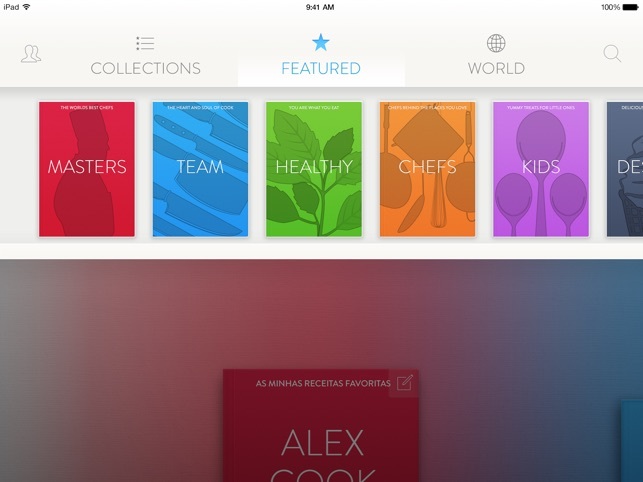 • A World of Cooking - Head to the Library and grab new books or use Search to discover thousands of recipes from Cooks around the world. There’s more being added all the time. 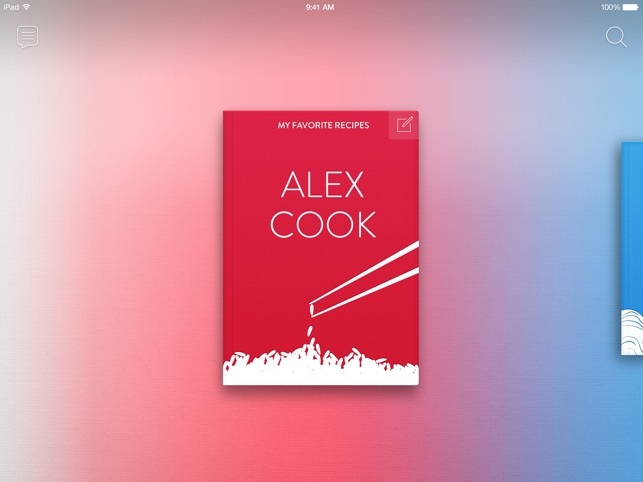 • Find your Friends - Get suggestions from Facebook or make new friends, keep the best books on your bench so you'll always have the best recipes on hand. 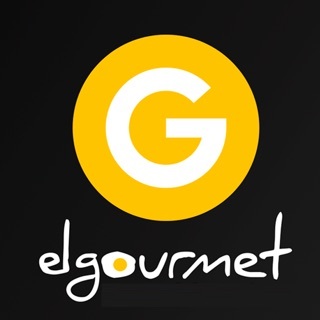 • Share your Recipes - Post any of your awesome creations on the Web through Facebook, Twitter, Email and iMessage. 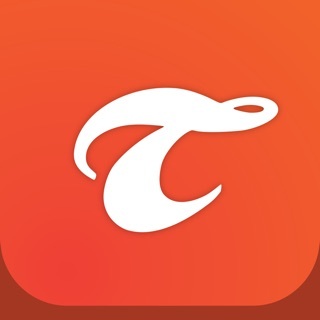 I really love the app and have used it for years BUT it would be very convenient to also have it on my iPhone so that when I am at the store and away from my iPad I can still stop at the store and get what I need without having to go all the way home then back to the store. Having problems printing out recipes and sending them to not Apple users. iPads can only send to Apple devices, so I have to do a round about of sending it to myself then switch to I’m iPhone and text it from there. 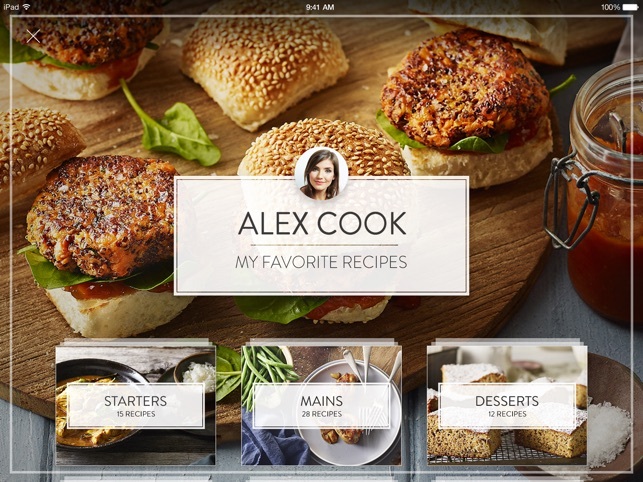 If it were on the iPhone also I could easily share my recipes with none Apple users. Other than that minor inconvenience, i love it. I’ve had this app for several years now and it works great for a while and the for no reason at all you can’t sign in and it doesn’t recognize your password. This is very bothersome seeing how you’ve spent years recreating family recipes. This developer is trying to sell this app and is supplying no support or anyway of getting in touch with them to fix any problems. It’s been a year since they have done any upgrades or fixes. When it works it’s a great app. But it’s scary that all my work may be gone. Still love this but can’t figure out how to change the email I used when I first signed up. I no longer use that email. Would be really great if we could order printed hardcover books with our saved or collected recipes.